To clarify our mission in life is to find places to eat for people in London trying to live well on small incomes/no income. That’s why we were delighted to befriend Nest Blog who are all about helping those who can’t afford to buy a house just yet enjoy the renter’s lifestyle. I met up with their East London Rep Miranda to find a cheap eat in Old Street. 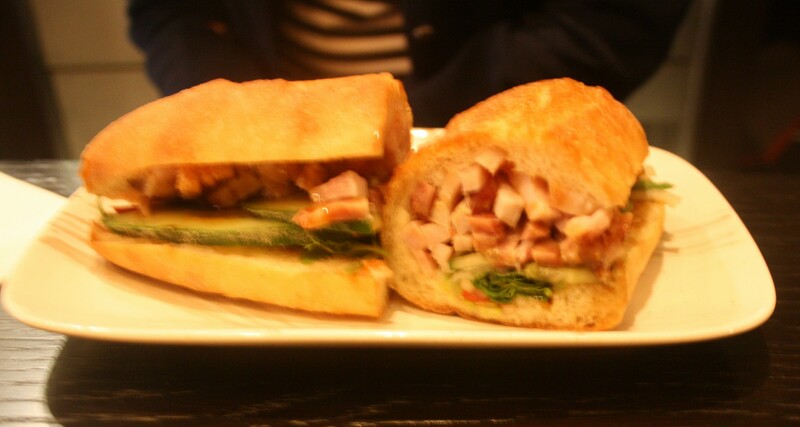 Here is her take on the fiver friendly vietnamese Keu! I’ve tried to go to Keu before. Dragged there by a Vietnamese-desperate revision buddy dying for a banh mi (that’s baguette to you and I) whose sulk at finding it closed on a Bank Holiday Monday lasted all the way to the reduced section at the Barbican Waitrose. Luckily, when we turned up on a drizzly Old Street lunchtime, it was open. This was a good start. The cool, kooky interior with its shelves bulging with over-priced coconut-based drinks enticed me further. Exciting ingredients scrawled in chalk made my tummy rumble. This warm fuzzy glow lasted approximately until the menu perusal. Is there anything more annoying than being told you can’t have what you want, especially in a voice only those with a hearing-aid might be able to pick up? Add to this the sneaky addition of a sitting-in-charge. Keu, I appreciate your interior is better than any nearby bench, but I’d like the option of paying 20p to be on my terms, thank you very much. Enough grumbling and onto the food. 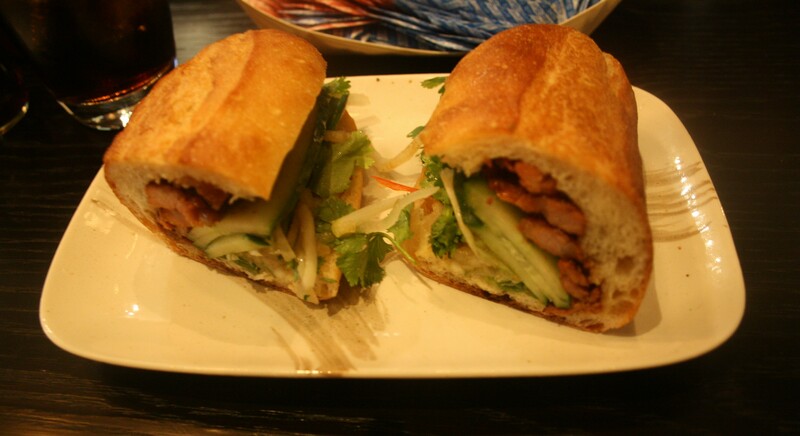 I went for the crispy pork banh-mi, aka a jazzy bacon-bits butty priced at £4.50 (if you leave the premises to scoff it). A baguette packed with frazzled pig, cushioned with lots of fun veggie bits like vermicelli, spring onion, coriander and chilli made my taste buds tingle. Did it hit the spot? The hipster parts of my tongue may have been happy, but I still needed a pack of strawberry logs from a City Road offie to round off lunch. The venue is nice, the food tastes good and it fills you for at least half an hour so definitely worth a visit. KNOW SOMEWHERE BETTER? TELL US. yes, check out http://whingeandwine.wordpress.com/2011/04/13/australian-red/ £4.46, wine from Tescos, it’s not bad at all!